By integrating our communication expertise with our extensive agricultural and environmental knowledge base, we provide a complete service range. This allows us to provide specialist technical advice to help improve the agricultural, environmental and business elements of your operation. 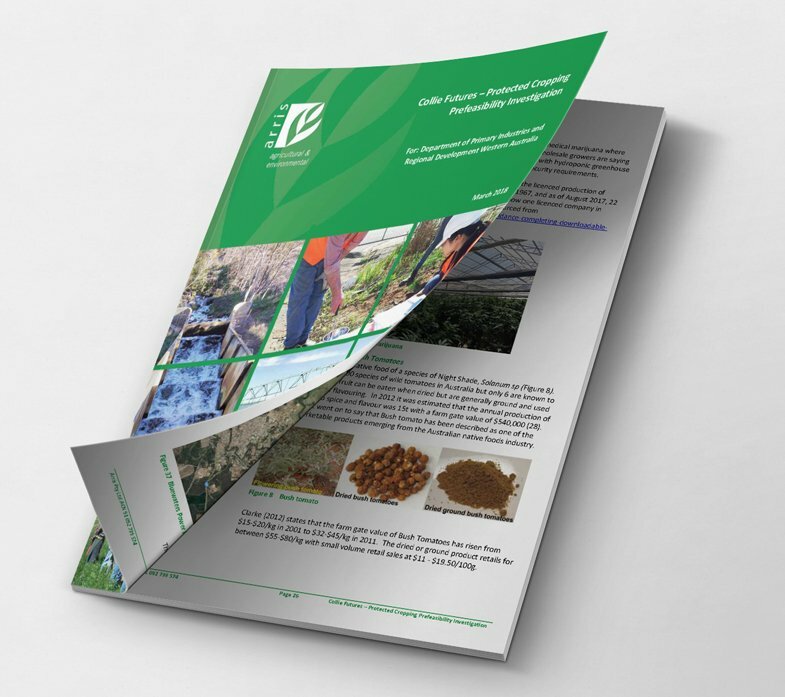 This report is focussed on the opportunity for intensive greenhouse-based horticulture in the Greater Collie Region of Western Australia. This Report provides the Department of Primary Industries and Regional Development (DPIRD) and WA Horticultural Industry information to assess future development of protected cropping. The area chosen was the Greater Collie Region where the $380m Myalup-Wellington, private, state and federally supported agricultural project (National Water Infrastructure Development Fund), has recently (April 2018) commenced. Identify protected cropping technologies that utilise the beneficial factors of the Collie Region and quantify the potential benefits to investors and the State. Provide pre‐competitive data to enable investment analysis. Define whether and by what means the area offers advantage to attract business development and jobs and growth outcomes. Assess requirements of potential facilities, crops and markets for products. Investigate the opportunity of combining available, land, water, power, heat, labour and social capital to define intensive horticultural (protected cropping) opportunities. Consider opportunities for intensification in nearby irrigation areas . 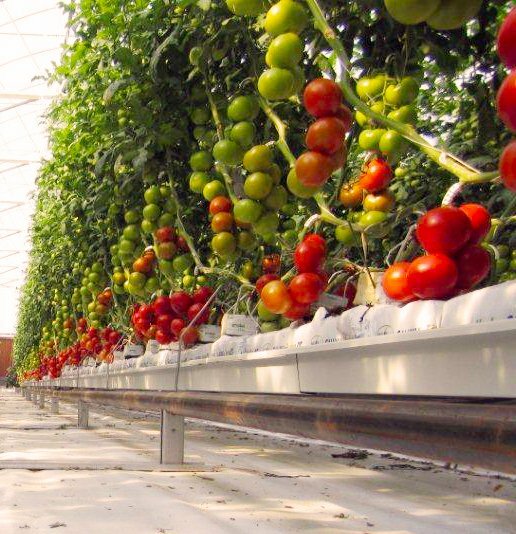 High technology protected cropping facilitates rigorous control of the growing environment to deliver optimal product quality, yield and market reliability as well as effectively managing biosecurity/quarantine, protocols, labour and production inputs. A base unit of 10ha requiring 250 ML/a of water was studied. It found there were adequate resources available for a larger project – to 40ha – with growth opportunities above that given land and water access issues were resolved. It is recognised that there are limits in the domestic market for increased large‐scale production of the types of crops likely to be grown in greenhouses. For this reason the report has a significant focus on export market opportunities. Twelve crops were assessed, four crops in detail and two – tomatoes and strawberries analysed in detail and there was sufficient commercial data available. An options analysis revealed two preferred sites in the region; Collie and Northern CRID Farmlands. The primary differences between the sites reflect different infrastructure and operating costs for heating and whether land needs to be purchased. The Collie Region offers a distinctive opportunity to develop a leading, high value and integrated intensive horticultural industry utilising existing heat, power and water resources, as well as local socioeconomic and natural assets. The Northern CRID Farmlands region also commands a distinct opportunity with valuable local socio‐economic and natural assets to support a leading, high value, clean and integrated intensive horticultural industry. These sites are not mutually exclusive as both could be developed simultaneously or consecutively. Both locations have adequate resources for future expansion. 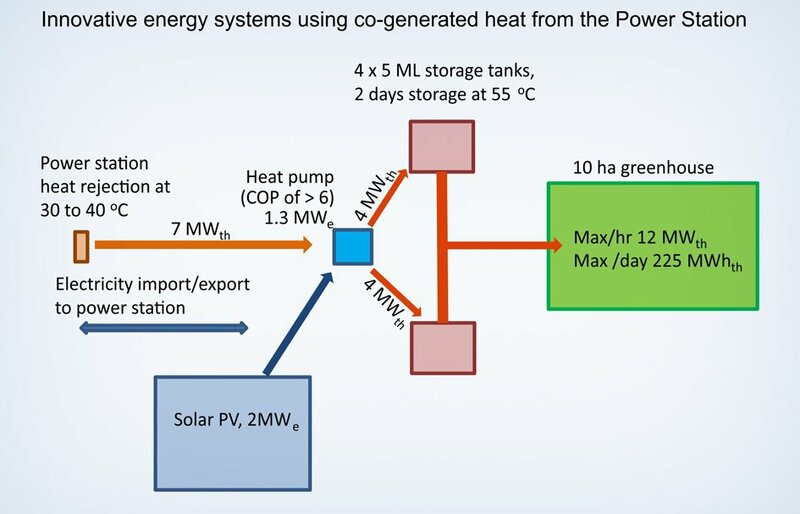 Energy and water are key considerations and both a greenhouse heat demand model and a water balance model have been used to populate this prefeasibility analysis. The Greater Collie Region offers a number of energy and water resources strategy options. Costs and returns can be variable, and although based on current market data and industry costs, presented values are prefeasibility estimates, with an allowance ±20%. The market assessment has been undertaken as a desktop study, as market for produce is a critical success factor it is therefore important that further work is undertaken to establish sustainable markets. The economic analysis, founded on a 10ha development unit, a realistic return on investment in the order of 16.05% – 18.64% can be achieved ($3/kg from 60kg/m2 production). The initial capital investment at the preferred sites is estimated to $20.5M – $23M with annual recurring costs around $8.5 – 9m. Strawberry costs and returns at Collie were slightly less – but had a similar return on investment. Returns from CRID Farmlands were lower than Collie and had a longer payback period. Access to suitable dry land, secure sources of water, brine disposal options and energy separated the proposals – though in both areas options were available and it would be up to the investor to undertake their own financial assessment for the mix of crops and production system they select. Download the Executive Summary or fill out the form below to access the full report.